Collectible Vintage Lighters: Are They Worth Using? A brief sampling of very old lighters that still get the job done. fire is the path you’re going to follow, then I want to say be careful. Any time you are working with any kind of fuel you need to make certain that your workspace is properly vented. I’ve been doing this for a while and fortunately I haven’t had any catastrophic events. I have however, had a fire or two that if I hadn’t been prepared could have led to something really bad. If fluid leaks or spills wipe it up and give it time to let fumes dissipate. Working on these old lighters can be a lot of fun but remember playing with fire is not a joke. 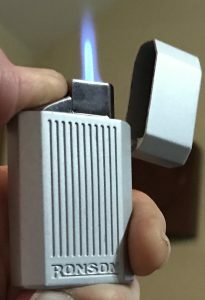 There are many vintage lighters out there that require butane to fuel them. Some of these butane lighters produce a jet type torch flame while others produce a flame more akin to that of a wicked oil lighter. One key advantage with these butane lighters is the fuel tanks are fully sealed. This will result in much better fuel economy because your fuel can not evaporate. One of the major negative aspects of vintage butane lighters is the plumbing. If you go to pump some fuel in and you end up spraying butane all over the room, I wouldn’t try to put any more in it. Better to leave that to a professional because some of them can’t be fixed anyway. You can surf about the web and find folks who laud one brand of fuel over all others. I don’t know if I really favor one over the others, I can’t remember ever getting a can of fuel and thinking, “that fuel really sucked.” That being said, I tend to use Zippo fuel because I have discovered some clever uses for their metal cans. And it’s available pretty much everywhere. But I have used some of the others from time to time and they all seem about the same to me. Worse comes to worst you can always dry out your wick lighters or purge your butane lighters if you don’t like the way they behave when set aflame. And possibly the greatest advantage of all with using a refillable(new or used) lighter is that a multitude of fuels could be used. Happens all the time doesn’t it? Yet another reason to stop buying those plastic products and start using a real tool that was intended to make fire by someone who knew how important that is. Sorry, I’m getting off the soapbox now. The Zippo or the Dunhill? you’ve never used vintage or refillable cigarette lighters but are intrigued by the idea. 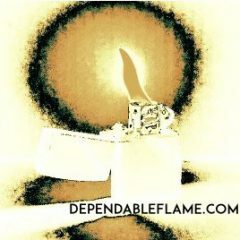 As such, I will highlight two lighters that are not only dependable but incredibly simple in design and easy to maintain. First is the Zippo. To be such an American Icon very few people seem to understand how a Zippo actually works. They get pissed off about having to add fuel all the time. 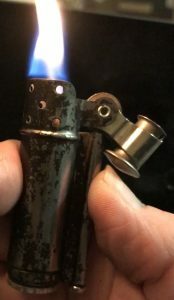 If you use a Zippo(or any wick lighter for that matter) regularly that lighter tends to work better and more smoothly than a lighter that sits around with no fuel in it most of the time. So, give the Zippo a chance but make sure that you keep up your end of the bargain by keeping it fueled. If you like to personalize then Zippo is the perfect choice for you because there’s a gazillion of ’em out there. The World War II Era Dunhill Service Lighter is another very simple design that is ultra-reliable. Also known as a “trench” lighter, the example you see on this page was without a doubt the most reliable lighter I have ever owned. It is a little odd looking, especially to young folks today who don’t remember what it was like to have to get up and walk to the television just to change the channel. But I believe that’s one reason we need to continue to use these sorts of products. To remember what it is like to accomplish things with our own hands. These are just a couple of examples of products that were manufactured at a time in history when people cared about workmanship that can still be found relatively inexpensive. There’s a whole wide world out there if you decide that vintage lighters are the way to go but you can’t go wrong starting with something simple. I’d like to invite you to leave all comments below. I am eager to hear topics that readers would like to know more about or products that you’d like to see discussed. You can also email: bossman@dependableflame.com if you have any questions or inquiries regarding lighters that you might have for sale or even just want to get rid of. Author JosephPosted on November 30, 2017 December 29, 2017 Categories Lighters2 Comments on Collectible Vintage Lighters: Are They Worth Using? How Much Convenience Do We Require? Have you ever paid attention to the Zippo lighters for sale at your local Wal-Mart, Winco or other retail chain? No? Well, if you have come to this post then you likely have some interest in lighters. Maybe you don’t smoke but have family and friends who do. Either way, you’re going to want to keep reading and pass this information along to anyone who uses a lighter. I am going to dig a little deeper into the options available when you go to a brick and mortar store and buy a new lighter in a moment but first I want to make sure that you understand my overall philosophy in the proper context. Be Socially Responsible: ALWAYS REUSE WHEN YOU CAN! There are many particulars we can debate about the most environment friendly ways to make fire. I would think at this point though, we could all agree that the consequences of manufacturing, packaging and marketing alone would make purchasing a new product prohibitive when there are countless previously purchased products available that have already had their negative impact on the environment. So, my advice is to purchase wisely regardless of the situation. You can apply these principles to any consumer product you are in the market for. And I believe we all need to start thinking this way more often. I’m also not suggesting that we should bully anyone into doing things a better way. That would be counterproductive. In the same spirit, I’m not saying you should flog yourself the next time you purchase a disposable lighter. I’m simply saying we ALL need to take into account the condition of the world we live in and the conditions we will leave for those who come after us. I Promise, I Won’t Buy Plastic. What Does That Leave Me? If You’re Gonna Buy One Then Buy the Jet Lite! We have already discussed many of the reasons not to purchase various lighters but now I want to focus on several of the reasons that I believe make the Ronson Jet Lite the lighter you should buy if you really do require convenience. First and foremost, it is a solid piece of equipment that performs reliably. 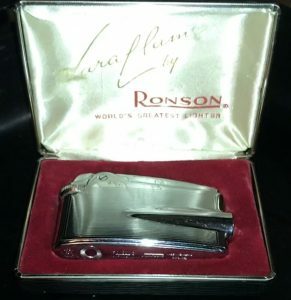 Ronson is owned by the American company Zippo but the Ronson Jet Lite is made in China. No matter because if you are shopping at Wal-Mart you don’t have an issue purchasing Asian made products. This time though that purchase is going to pay off big time and I’m going to tell you why: the Ronson Jet Lite is not only a reliable quality-made tool, it will do anything you need a lighter to do. Especially, a lighter that you bought purely for convenience. The Jet Lite has controls that make it very easy to understand how to adjust the flame and also to refuel the lighter when needed. The lid is fitted so that it opens and closes with ease and stays in the position that you want it. 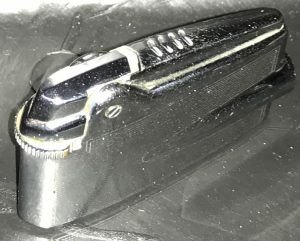 All external parts appear to be metal and the lighter has a sturdy feel to it. I have seen these lighters for sale at Wal-Mart in blister packs for under $5.00. That is the same price as a few disposables. But you won’t be throwing this one away because it is going to be useful to you for a long time to come. Another really cool thing about the Ronson Jet Lite that makes it the ideal lighter if you are purely purchasing for convenience is that when you pull it off the shelf it already has fuel in it. This is nice because it allows you to delay the purchase of fuel until you are able to research and determine the best fuel for you to purchase for the best price while still giving you the immediate ability to light your cigarette. Please leave any questions or comments below. I look forward to responding. Buying Vintage Lighters on Ebay: Our guide to pricing. 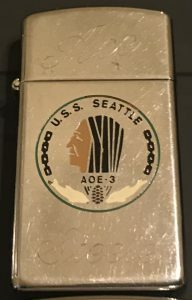 So, you know the vintage lighter you want to purchase, how do you know you’re getting a fair price? One important variable to consider before buying vintage lighters on EBay is your purpose for the lighter. Are you planning to use it or are you simply adding another lighter to your collection to admire? I’ll use myself as an example. The most important aspect of collecting and repairing lighters for me is that they succeed at making fire. I don’t really care about collectability. I care a ton about quality. I care most of all that it lights when I need it to. If it won’t make fire then it is just a curio and I don’t really have a lot of space in my life for things of that sort. I do however, own a lighter or two from time to time that I clearly recognize as having value beyond its ability to make fire. I don’t usually own those for very long because there are plenty of folks out there willing to pay for those “collectible” lighters. How my EBay prices are set. I work on lighters because I enjoy it. It really is that simple. 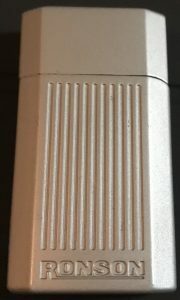 I have come up with a system for pricing the lighters I sell on EBay that takes much of the stress out of the process for me and that simplifies things considerably. With my focus on lighters that are in good working order, I don’t list any lighter that I myself would not be willing to pay at least $15 for. Most auctions start at $14.99 and run for 5 days. If it sells great! If it does not sell then I’ll relist it as a Fixed Price item. I may adjust the price as I relist the lighter depending on how long I expect to inventory it, inherent value other than function or perhaps simply fondness for the lighter or the value of the work that I know went into getting a particular lighter working. owning an old lighter means the most to you? Does it need to work or is it just a curiosity piece? Perhaps you are looking for a more socially responsible option than all the plastic products littering department and convenience store shelves. 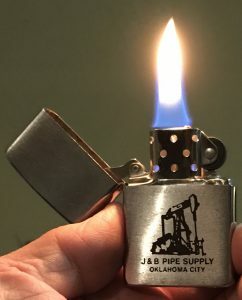 It is worth considering that a consumer can purchase a vintage lighter for $15 and a can of fuel for another few dollars and be set with fire for the foreseeable future. Yes it will require a modicum of labor on our part to refill the refillable lighter but we will save all those trips to the store just to pick up a disposable lighter. I’ll get off my soapbox now but the possible benefits definitely merit consideration. Whatever the reason for you being in the market for a vintage lighter, there are plenty of options available when you decide to make your purchase. There could even be multiple merchants specializing in exactly what you are looking for! 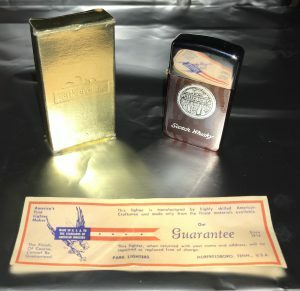 This is another way that EBay can benefit anyone looking to purchase or sell vintage lighters. I can think of at least 3 EBay sellers who I followed in the last week because I know that they deal in the kind of lighters that I’m looking to buy. 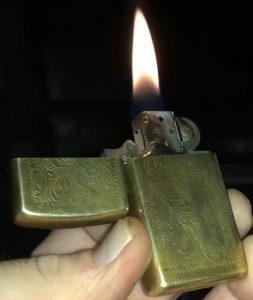 I would never purchase a vintage Zippo lighter if the listing does not have at least 1 quality photo of the bottom of the lighter. 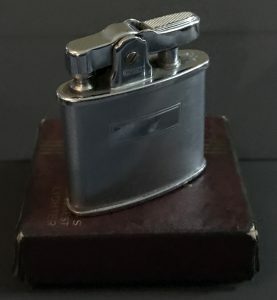 For any vintage lighter I would expect a listing to have photos showing every side of the lighter, most lighters have six sides. I wouldn’t purchase from anyone who doesn’t accept returns. I think you will find that generally when a seller is willing to accept returns, they are selling quality items. In other words, buyers don’t return their items because they are satisfied with their purchase. condition of an item when the description was crystal clear. Read all descriptions before buying and ask for clarification through the Ask Seller feature of you need it. If a seller entertains offers for a Fixed Price item, don’t hesitate to make an offer(assuming you’ve done your due diligence.) Just be respectful and don’t take it personal if they decline or counter your offer. Check a seller’s other items for sale, if they offer free or combined shipping you might be able to purchase multiple items and leverage their shopping policy to your advantage. I have at least one eye on EBay most of the time. So, if you get there and are unsure how to navigate or bid or anything else just shoot me a message and I’ll do everything I can to help. I’d love to read any comments, so feel free to leave them. My goal for this site is to come into contact with and help like-minded consumers and fellow humans who have discovered some of the same hurdles that I myself have encountered. If I’m writing about a subject on this site it is because some time not too long ago I was trying to do something that didn’t seem like it should be as difficult as it was. And if it doesn’t have to be that difficult, why would we make it be? Author JosephPosted on November 28, 2017 December 29, 2017 Categories LightersLeave a comment on Buying Vintage Lighters on Ebay: Our guide to pricing. 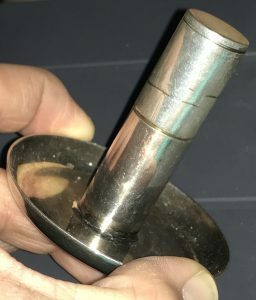 Are vintage cigarette lighters collectibles? Maybe. 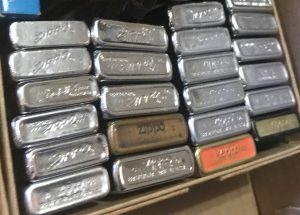 Is there any real value in all those so-called collectible lighters? In my experience most of these old lighters do have value. The question is how do we measure it? There are published price guides out there that you can consult. In today’s market I would question the validity of any source that has not taken into account the emergence of today’s global marketplace. There are online price guides that you can access for a monthly or yearly fee. These online services will usually compile verified online purchases to give you an idea what your lighter might be worth. If we are talking dollar value then the easiest, cheapest thing for you to do is head over to EBay and perform a search using all the info you already know about the lighter in question. Perform an advanced search for sold items that match your criteria that way you can come up with a consensus of what similar lighters have actually sold for. Now, that’s not to say that someone else wouldn’t pay more. You can always market to a particular audience or group but EBay is a relatively reasonable facsimile of a modern market price guide. Remember, just because someone lists a lighter for a certain amount doesn’t necessarily mean that lighter is worth it. Also remember, just because you don’t want to pay a certain amount doesn’t mean that lighter is not worth it. I’ll try to write more about it later but for now just send a message if you have questions about EBay. Do these old lighters have some other kind of value? Oh boy! This is where it gets fun for me because this is how I got started. I’m a lighter mechanic, that’s what I do. Nothing brings me more joy than taking a beautiful, well-designed piece of equipment that someone else deemed worthless and making it make fire again. Sometimes it’s simple, stuck flint or a pinched wick. Other times it might take a little while to hunt down the problem but it sure feels good when you finally fix it. And some of them basically are worthless. If they won’t make fire then they could still hold some value as curiosity pieces. To me, at least, there is real value in the tool itself and what that tool can accomplish. The simple fact that the vast majority of these lighters are refillable should be enough to get consumer’s attentions. There are countless upon multitudes of already manufactured lighters: surplus, new old stock, vintage resell, however you go about getting yourself one. All the worry about pollution and the environment seems insincere when you consider the rate at which we consumers purchase these plastic products rather than utilizing the vast stockpile of refillable reusable repurposable lighters left over from the past century. We all know that plastic is more often than not the most convenient option not necessarily the most sturdy or cost effective. I never heard anybody brag about something being made of plastic. Fine wood, marble, glass. gold, silver or even steel? Sure, but we all know plastic is cheap. I’d much rather the lighter I carry be a well-made piece of equipment than a hunk of plastic that may or may not work. Once you have some experience with a particular lighter you tend to recognize some distinct characteristics like maybe the flame always acts erratic shortly before it runs out of fluid. Noting these characteristics can help offset some of the inconvenience of a refillable lighter, mainly the danger of running out of fuel. But if you can afford to smoke then you can afford a second lighter so that shouldn’t be a problem. And seriously, if it’s bad for the environment to be producing all this plastic then why not do what we can to try to make what difference we can where and when we are able? I was in my attic a while back looking through some things I hadn’t seen in probably 20 yrs. There was an old Bic lighter in there. I picked it up and pressed the button and heard that familiar hiss. So I’m not telling you to throw those plastic disposable lighters away. If they’ll hold gas for 20 yrs in the fluctuating temperatures of an attic then I would definitely stash them somewhere. But I wouldn’t buy any more. Something he can hold on to. You ever try to light a cigarette in the middle of the night and almost catch your sleeping bag on fire? No? Well, it happens. In my experience however, the more familiar you are with your lighter the less likely you are to do this. It’s a simple fact, my lighter knows the palm of my hand like the back of its own and vice-versa. I hate to say it but the pocket lighter was probably the original fidget spinner. It could be a nine pound hammer, gun in your pocket or? “Nah, he’s just playing with his lighter.” The lighter you choose to carry will usually say something about you. Maybe your name or your job title. It could be a torch fueled by butane. Or perchance, a match or the flame of a kitchen stove. For me it was at one point the only thing in my life that I felt like I had any control over. I had all kinds of problems that I could not even address much less fix. But I could fix the lighters so I did. I’m always here, working on something. All questions and comments are welcomed. Author JosephPosted on November 27, 2017 December 29, 2017 Categories Lighters2 Comments on Are vintage cigarette lighters collectibles? Maybe.